The XTR BB93 takes a cue from Shimano's top road bottom brackets, now featuring smaller diameter bearings to save weight. This new design drops 21g off its ancestor and features a new seal system which reduces friction by 50%. 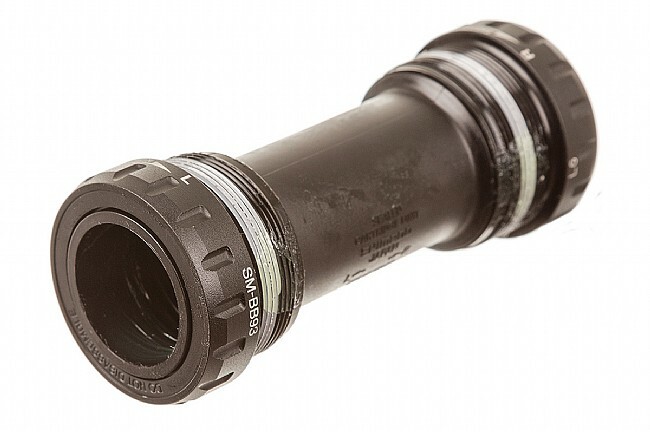 The XTR BB93 Bottom Bracket is available with English threads and includes three 2.5mm spacers for use with 68mm and 73mm shells. Compatible with all HollowTech II cranks. 77 grams. I picked this up after my RaceFace bottom bracket decided to seize up mid ride. It's pretty lightweight and was very easy to install. Bearings feel very smooth and while I haven't really put it thru very much, it has stood up to some pretty nasty mud and muck with flying colors.